Daring to be imperfect. What, a TN panel in an $1800 gaming notebook? Yes, MSI has done it again and prioritized 120-Hz and quick response times. If you can work with this, you will probably be happy to overlook the few problems this otherwise well-made notebook has. Only one of MSI's decisions is rather questionable. Going back to reality, we really enjoyed the keyboard with its RGB backlight, and the touchpad, which is far more adequate than some of the laptops in this category. The good cooling solution and the ease of use of the Dragon Center utility, combined with the super useful fan boost button just add to the greatness of this device. 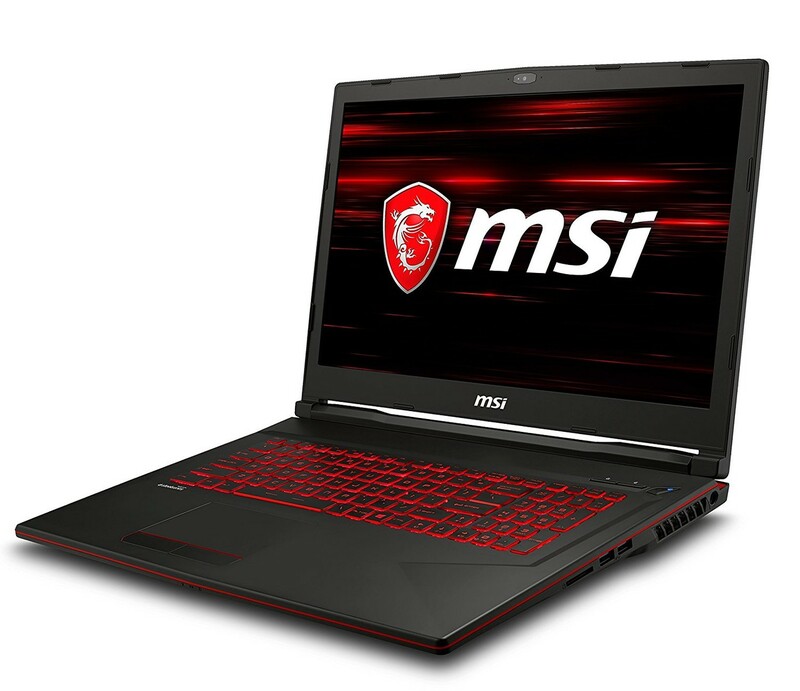 If you’re ready to give battery life away for the immersive gaming experience provided by the 120 Hz screen, we can truly recommend the MSI GE63VR 7RF to you. There are two things which work in the favour of MSI's latest offering: performance and the fact that it doesn't heat up. The gameplay is efficient, the display is smooth and MSI deserves kudos for delivering all this at a relatively acceptable price point. 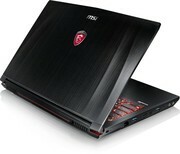 While Rs 1,49,999 isn't exactly cheap but when it comes to gaming laptops it is competitive. 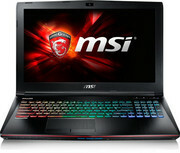 As mentioned earlier, you've alternatives from HP and Asus with similar or better specifications but they do cost more. 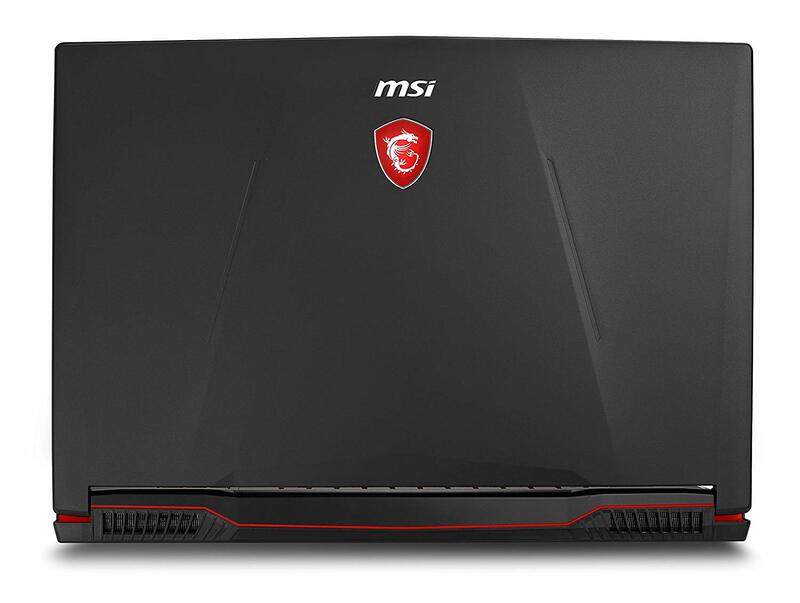 If you're looking for a quiet and efficient performer, the GE63VR Raider from MSI will be a good option to go for. However, the battery life could prove to be a deterrent to many. Positive: Nice display; decent hardware; backlit keys; fast system. Positive: Nice display; large screen; powerful hardware; backlit keys; decent speakers; good cooling and silent system. Positive: Nice display; excellent speakers; comfortable keyboard; high mobility. Negative: Average performance; noisy under loads; short battery life. Positive: Stylish design; beautiful screen; slim size; comfortable keyboard; backlit keys; nice touchpad; excellent speakers; high performance. Negative: Relatively high price. Positive: High performance; slim size; solid workmanship; excellent display; backlit keys. Negative: Mediocre touchpad. 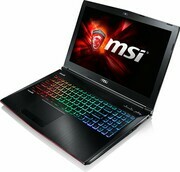 Positive: Good price; powerful hardware; high gaming performance; nice display; good connectivity. Negative: Overheats while using; short battery life. Positive: High performance; light weight; large screen; good speakers. Negative: Low autonomy. Positive: Solid workmanship; nice display; comfortable keyboard; decent speakers. Negative: Weak processor; short battery life. The good definitely overshadows the bad for this member of the Raider family, packing as it does a great 120Hz display, game-worthy GPU, stunning speakers and a simply gorgeous keyboard. Just make sure you can live with the noise and poor battery life. The GE62/3 has remained MSI’s bread and butter for many years as this series has offered the ideal blend of features and performance for gamers seeking to slot into the mid-range arena. The new Raider edition of the GE63 builds on the success of the superseded Apache laptops. Positive: Impressive design; solid workmanship; excellent display; top ergonomy. Negative: High price. Positive: Large screen; powerful hardware; high performance; good display; nice ergonomy. In general, the MSI GE63VR is not a bad laptop. Its issues are correctable—a change to dual channel memory will let the GeForce GTX 1070 operate at its maximum potential, which is the biggest reason for this review score. With these specifications, you expect a certain level of performance which is just not being delivered. The other issue is bad battery life, but considering its size and specifications, let's face facts: battery life was never going to be all that amazing anyway. In the future, MSI could easily improve this unit by going back to a 2x 8 GB memory configuration and upping the battery capacity. 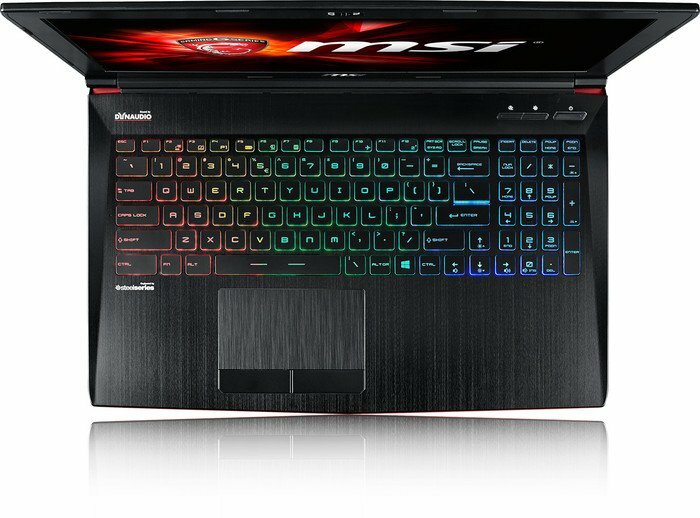 The MSI GE63VR Raider-213 is a healthy refresh of MSI’s GE-series lineup. The sportier look, per-key RGB backlit keyboard, and improved gaming performance all elevated its standing in the market, especially at the $1,649 price point of the model that we reviewed. 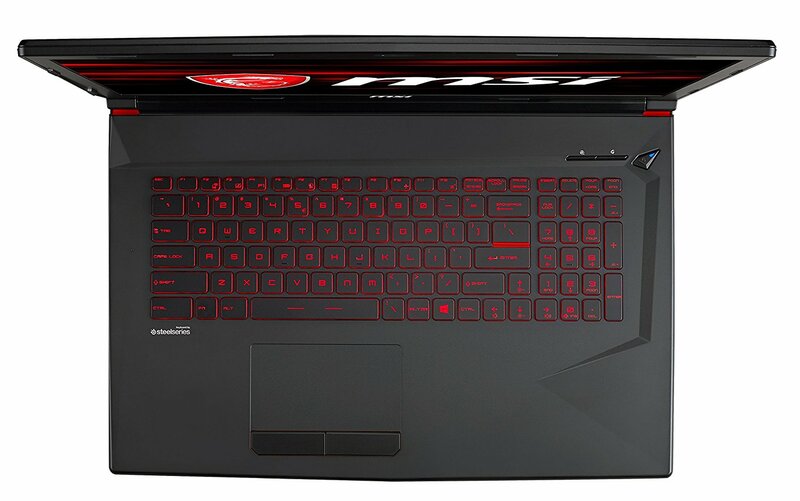 The competing Alienware 15 R3 and Acer Predator 15 don’t yet offer per-key RGB keyboards, nor are they as thin and light as the GE63VR. We know less about this gaming laptop than we’d like, but we’re hugely impressed by the lighting offering on this laptop, especially considering its esports and immersion implications. The GE63 Raider RGB could easily become a weapon of choice for pro gamers. Positive: Solid workmanship; high gaming performance; metal case; powerful hardware; compact size; good cooling system; nice ergonomy; excellent speakers. Negative: Short battery life. Positive: Powerful hardware; high gaming performance; nice display. Negative: Poor webcam; noisy under loads; low autonomy. Meanwhile, the styling and build quality is okay but the addition of RGB certainly isn’t a deal maker. In fact, the use of keys with an open side that lets more of the backlighting shine out is particularly distracting. 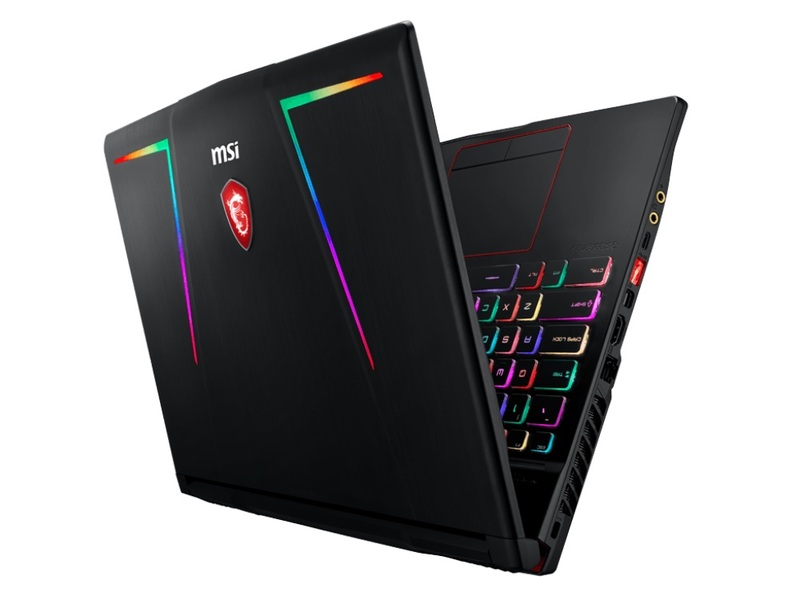 An altogether more subtle approach would get our vote – but then again, you may love RGB lighting, in which case the MSI GE63 Raider RGB 8RE will almost certainly appeal. Positive: Large screen; nice display; powerful hardware; backlit keys; good speakers; fast system; good cooling and silent system. Positive: Large screen; nice display; beautiful design; good connectivity. Positive: Large screen; nice design; good display; decent connectivity; backlit keys. 82% ▷[Análisis] MSI Raider GE63VR 7RF-227XES,Opiniones y Review a Fondo! Positive: Big screen; high gaming performance; premium design; nice connectivity. NVIDIA GeForce GTX 1070 (Laptop): Pascal based high-end mobile graphics card based on a cut down GP104 (like the GTX 1080) and GDDR5 graphics memory. Successor to the GTX 980M with a 10 Watts higher TDP. 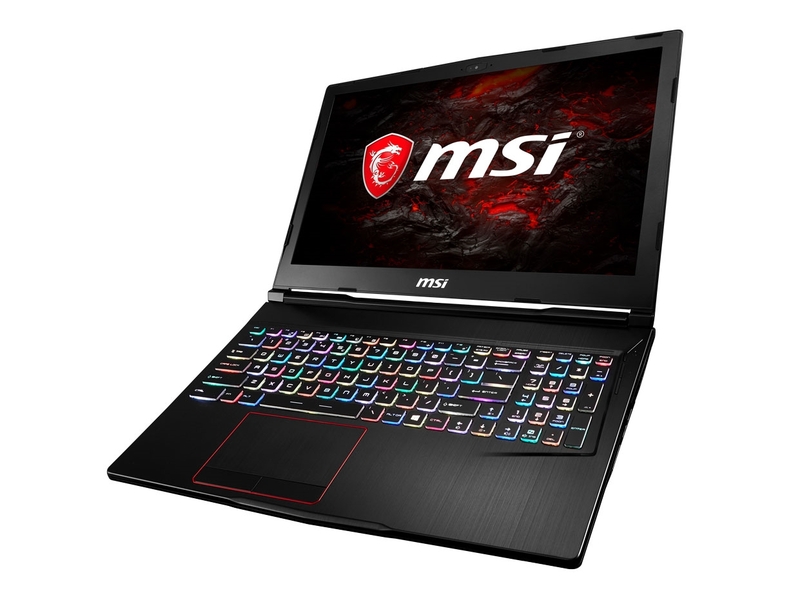 Similar to the desktop GTX 1070 performance wise, but with more shaders and lower clock speeds.NVIDIA GeForce GTX 1060 (Laptop): The mobile GTX 1060 is based on the GP106 chip and offer 1280 shaders. Compared to the identically named desktop version it features a slightly lower clock rate. Games in Full HD and maximum details should run fluently on the card.With these GPUs you are able to play modern and demanding games fluently at medium detail settings and HD resolution. NVIDIA GeForce GTX 1050 Ti (Laptop): Mainstream graphics card based on Nvidia's Pascal architecture and successor to the GeForce GTX 965M. Is manufactured in a 14nm process at Samsung and the technical specifications are very similar to the desktop version.» Further information can be found in our Comparison of Mobile Graphics Cards and the corresponding Benchmark List. 7700HQ: Quad-core notebook processor based on the Kaby Lake architecture. Besides four CPU cores (including Hyper Threading), the chips also integrates the HD Graphics 630 GPU and is manufactured in an improved 14 nm process.8750H: On Coffee Lake architecture based processor for big and heavy laptops. Integrates six processor cores clocked at 2.2 - 4.1 GHz (4 GHz with 4 cores, 3.9 GHz with 6 cores) that support HyperThreading. Manufactured in an improved 14nm process (14nm++). 81.71%: This rating should be considered to be average. This is because the proportion of notebooks which have a higher rating is approximately equal to the proportion which have a lower rating.» Further information can be found in our Notebook Purchase Guide.